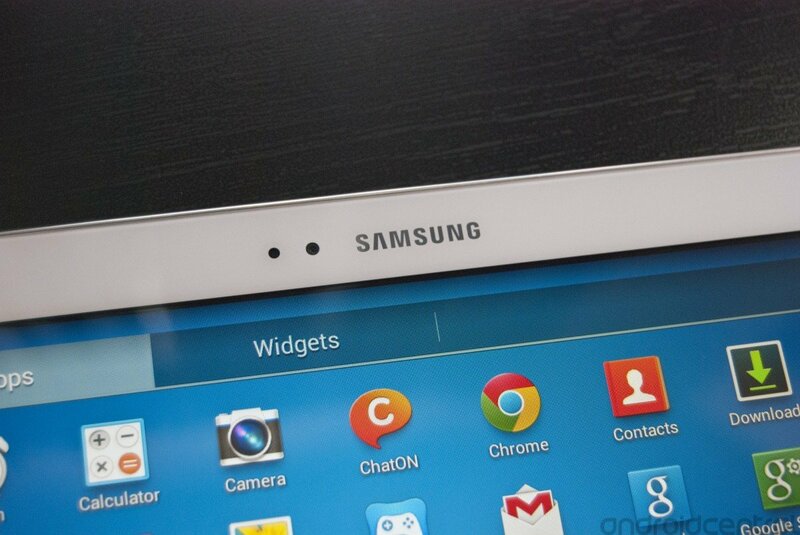 For me, the Samsung has consistently been the go-to choice for a quality Android tablet experience. I was an early adopter of the original Galaxy Tab 10.1, and the Galaxy Note 10.1 was the first device to make me feel like tablets were more than just oversized phones. As a Galaxy S 4 owner, I was eager to take the brand new Galaxy Tab 3 line for a spin and see how Samsung has incorporated the brand new version of TouchWiz into its flagship tablet line. I recently got to spend a few days with both the Galaxy Tab 3 8.0 and the Galaxy Tab 3 10.1, and while I can't say I had a completely negative experience, it's clear the Galaxy Tab line no longer represents the cutting edge of Android tablets. The Galaxy Tab 3 line offers Galaxy fans a solid TouchWiz experience in three affordable form factors. 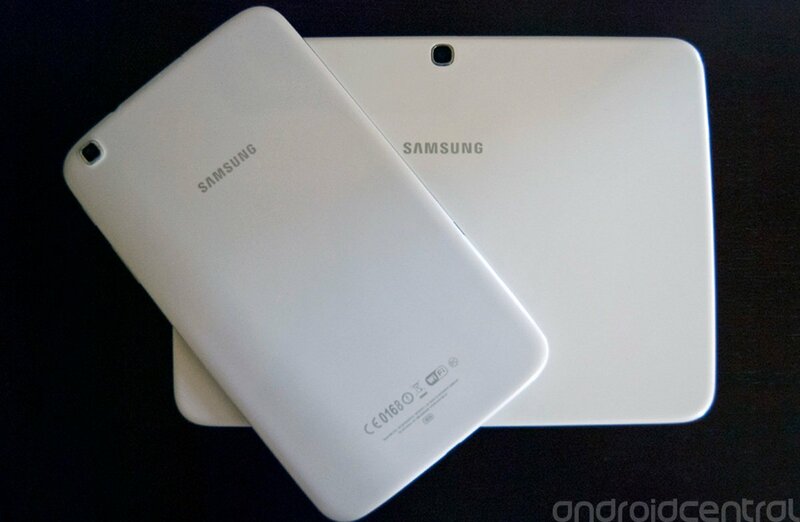 The tablets perform well and are some of the thinnest and lightest Samsung has created. Specs are well below flagship-standards, most notably the outdated displays. The Tab 3 line offers little we haven't already seen on smartphones. For those looking for an affordable way to supplement their Galaxy S smartphone, the Galaxy Tab 3 is the best way to do so while not breaking the bank. However, those expecting a top-of-the-line Samsung experience will be sorely disappointed. Right off the bat, it's easy to see that the Galaxy Tab 3 series is more attractive than any other Samsung tablets before it. Taking cues from the Galaxy S4's patterned topcoat and chrome edges, these tablets are sharp and eye catching, and clearly cut from the same cloth as the company's Galaxy smartphones. The Galaxy Tab 3 devices are about as sleek and lightweight as you'll find on the market today, all coming in a little thinner than 0.4 inches and lighter than 11 ounces. Coupled with the plastic body, though, the tab's thinness feels borderline fragile, in danger of being snapped in half if you apply enough force. You'll probably want a case if you plan on traveling with the Galaxy tabs, or if you're prone to being less than careful with your devices. In short, these tablets are of a typical Samsung level of quality. For better or worse, you're dealing with a lot of thin, shiny plastic. The Galaxy Tab 3 7.0 sports a 1024 x 600 TFT display, while the 8-inch and 10-inch versions up the ante to a 1280 x 800 resolution. If these numbers sound familiar, it's because they're the same-exact specs the 7 and 10-inch Galaxy Tabs have always featured. Yes, that's right — three years after these tablets were first introduced, the display resolution remains the same. This a cost-saving measure, no doubt, but for its most visible line of tablets, Samsung should have done more to stay ahead of the curve. Simply put, there are a handful of tablets of similar size — the new Nexus 7, for instance — that stand head and shoulders above the Galaxy Tab 3 line in terms of display quality, and are well worth the additional cost. Under the hood, each of the Tab 3 devices sport slightly-varying specs. The Galaxy Tab 3 7.0 runs a dual-core 1.2 GHz processor, a slight upgrade from the 1 GHz chip that the second generation packed. It's paired with a full gig of RAM, 8 GB of internal storage, and a 4,000 mAh battery. The Galaxy Tab 3 8.0 packs Samsung's own Exynos 1.5 GHz dual core processor with 1.5 gigs of RAM, along with 16 gigabytes of storage and a 4,450 mAh battery. Finally, the Galaxy Tab 3 10.1 introduces the Intel Atom Z2560 processor to Samsung's line -- this processor allows for 1 GB of RAM to function just as well as 1.5 GB does in the smaller Galaxy Tab 3 8.0, or so Samsung says. The 10.1 also includes 16 GBs of internal storage, a larger 6,800 mAh battery, and adds a pretty useful IR blaster, which allows you to use the device as a universal remote. In my experience with the 8.0 and 10.1, performance was respectable but far from exciting, and I couldn't really tell the difference between the Atom and Exynos processor. Though not horrendously slow, these products lack the speed and agility of vanilla Android tablets, and lack the top-of-the-line specs that the Galaxy S4 utilizes to power a speedy TouchWiz experience. In terms of battery life, each Tab was able to make it through two days on a single charge, something we've all come to expect from properly-optimized tablets. All three tablets sport a 3.15 MP wide angle camera, which I won't even bother wasting a paragraph on. Android tablets are still not where you should be looking for a decent camera experience. The Tab 3 devices are slow to focus, dreadful in low-light, and produce generally noisy, low-quality images. Not to mention how ridiculous you'll look snapping shots with a 10-inch tablet. Samsung's TouchWiz UI is running atop Android 4.1 on the 7-incher and Android 4.2 in the 8 and 10-inch versions. The manufacturer has trimmed some of the fancier capabilities, most notably AirView (hover touch), but most of the features remain, including Smart Stay, Multi Window, and S-Voice. TouchWiz is still a polarizing user experience among Android fans, and in tablet form it's even more more so — you'll still find some features useful, though others were clearly built for a phone and have been blown up for the larger device. It's also not the most visually pleasing, nor the most consistent of Android UIs. With the Galaxy Tab 3 line, Samsung brings its popular Galaxy smartphone experience to three new form factors. Whether you love it or hate it, you cannot deny that the feature-packed TouchWiz has become a staple of Samsung's success. The manufacturer's offering a consistent experience in terms of both hardware and software across its smartphone and tablet lines. It's the old iPhone-iPad strategy — create a uniform look and feel across all devices, and introduce these products into every corner of consumers' lives. For those Galaxy S4 owners (up to 20 million now) who want to seamlessly transition between the tablet at home and the smartphone everywhere else, the Galaxy Tab 3 easily fits into that role. The Tab 3 line offers a solid TouchWiz experience on a thin, light device at a (mostly) reasonable price point. For $200, $300, and $400 respectively, the Galaxy Tab 3 7.0, 8.0, and 10.1 the smaller Galaxy Tabs represent decent value. The same can't quite be said for the 10.1-incher. Samsung is smart, but it also seems increasingly lazy — despite what the company might have you believe, the Galaxy Tab 3 line feels very much like an afterthought, and far from the flagship line it once was. I use the word lazy because Samsung knows what it has to do to make its tablet line more than just an accessory — and it's already done it with the Galaxy Note. Here's a tablet that serves a purpose, one that takes TouchWiz and the tablet form factor and turns them into assets rather than liabilities. Sure, the Note tablets are priced a bit higher than their Galaxy counterparts, but wouldn't you rather spend an extra buck on something that'll serve as more than just another screen, and another gadget on your shelf? 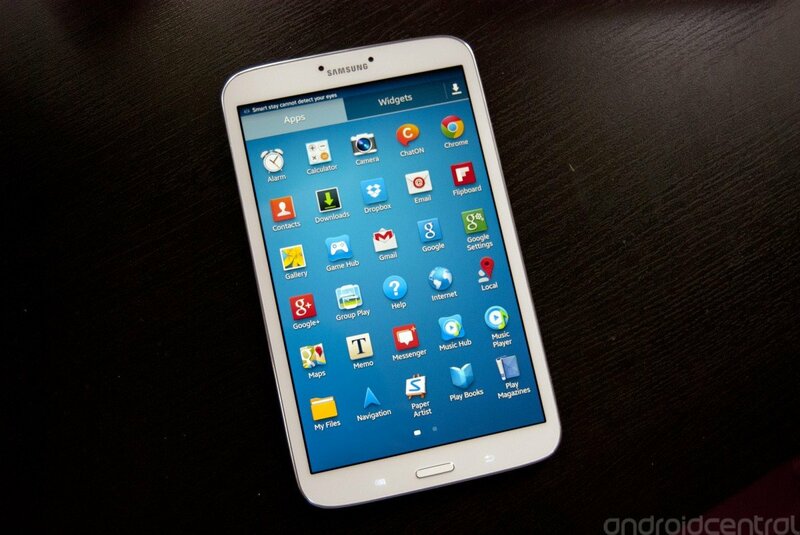 The company has already taken the initial steps in tailoring its TouchWiz user experience for to tablet form factor. Throw in an eye popping display and some juiced-up internals, and it could have something really special. But for now, Samsung's content with creating a complementary device that's too cheap to resist — it's got millions of smartphone users to whom it wants to sell an inexpensive tablet. At the end of the day, the Galaxy Tab 3 line is doing little to shake up the Android tablet space. For those looking for an inexpensive way to enlarge their Galaxy experience, the Tab 3 devices are easy choices. They offer decent specs, a reliable and familiar user experience, and form factors for just about every need. The 7 and 8-inch version are compact and ideal for reading and content consumption on-the-go; the Galaxy Tab 10.1 inch is a great living room companion, and its included IR blaster is a nice addition to your home entertainment arsenal. For those, like me, who are hungry for Samsung to pull out all the stops, the Galaxy Tab 3 line isn't going satisfy your tablet cravings. If anything, Samsung's latest tablets promote the stereotype that Android tablets are simply oversized Android smartphones rather than respectable pieces of hardware in and of themselves. 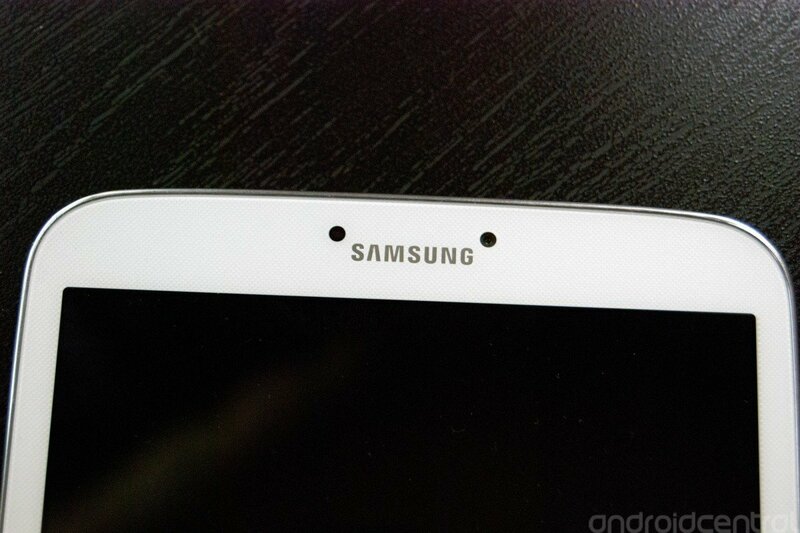 Personally, I'll choose to save my money for the next-generation line of Galaxy Note tablets. If Samsung is smart and turns to the Note brand for its flagship tablets, these products could be something special indeed. Until then, I, along with everyone else who's looking for more than an oversized smartphone, will be forced to look elsewhere.